With four information trucks, GROHE has reached 90,000 visitors so far. Professionals and end consumers get a comprehensive insight into the latest product innovations. Until the end of 2018, more trips to Europe and the Middle East are planned. The four XXL trucks from GROHE, the world's leading manufacturer of sanitary fittings, have picked up speed again in 2018. The trucks give private and professional visitors an insight into the latest GROHE innovations and they can test products and take part in open trainings. The vehicles are currently on the road in Germany, France, the Netherlands, Austria and Saudi Arabia. In total, GROHE plans to arrange approximately 800 information events this year. Just a year ago, the trucks started at the ISH in Frankfurt am Main, the world's leading trade fair for bathroom, heating and air-conditioning technology. Meanwhile, the GROHE trucks have stopped in 33 countries like Portugal, Switzerland, Norway, Russia or Morocco. So far, the route equates to more than three circumnavigations of the world; the trucks covered 135,000 kilometres. Up to now, GROHE has reached 90,000 visitors during the tour. The GROHE brand also benefits from initiatives like this. According to a recent study by the market research institute BauInfoConsult among private DIYers, GROHE is one of the best-known brands in the bathroom market in Europe. They found, that GROHE is a household name for half of all European DIY store customers. From AquaSymphony, the most luxurious shower in the world, to the GROHE Blue and GROHE Red water systems, to the GROHE Sensia Arena shower toilet and the GROHE SPA F-digital Deluxe, GROHE’s latest product highlights can be found in the XXL trucks so visitors can get to know them and try them out. In addition, a team of specialists advises them during personal expert discussions on functionalities and gives useful installation tips. Nearly 15,000 trade visitors have used the opportunity to complete an installers’ training course in one of the trucks so far. 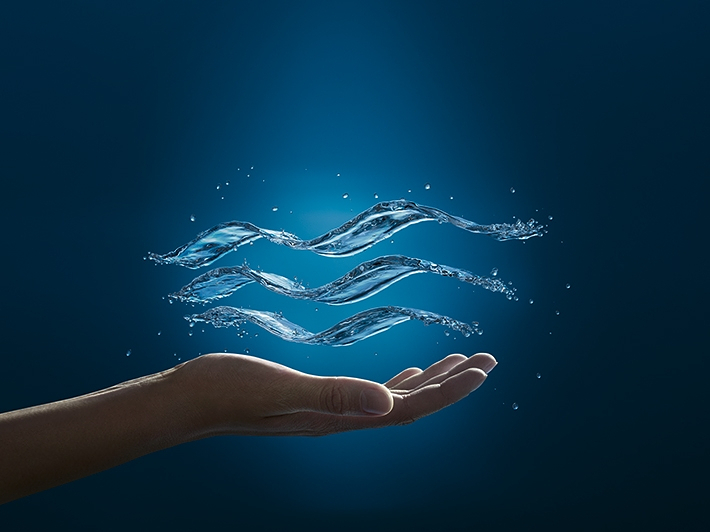 In addition, trade visitors can sign up for SMART, the GROHE loyalty programme for sanitary professionals. 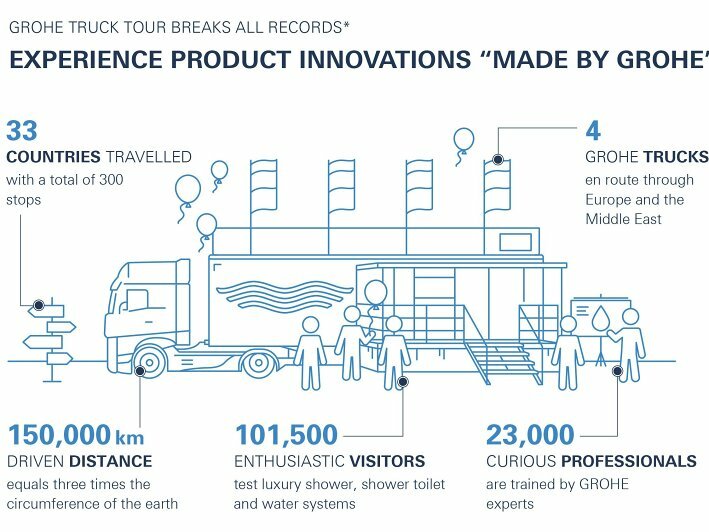 “With our truck tour, we bring the experience of innovative products to the individual countries," says Michael Rauterkus, CEO of GROHE. "Proximity to the customer and the resulting trust are integral parts of our business strategy." Find video for Truck Tour here.